The word bespoke has been bandied about so often these days that it has lost its significance. In fact, most of the so-called bespoke suits tailored in Singapore would more accurately be termed made-to-measure instead. The Prestigious, Thomas Wong’s newly revived atelier, however, adheres to the strict guidelines practised on Savile Row – each patron receives an individually hand-drawn pattern. 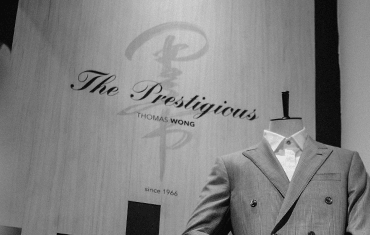 Wong’s tailors take each customer’s measurements at the 91sqm showroom on Boat Quay, giving them the flexibility to factor in individual features such as posture and body shape. 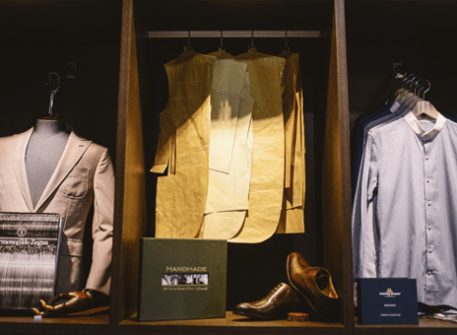 What sets the studio even further apart from most is its one-of-a-kind tailoring model – it is the only tailoring house in Singapore to be able to complete a commissioned suit on-site. Typically, tailors would take the client’s measurements in the shops, but leave the production to third parties who have zero interaction with the client. The tailors at The Prestigious however are fully trained to draft, cut and sew. Having a dedicated artisan for the entire suit-making process is undoubtedly helpful to adapting the smallest nuances of the client’s lifestyle and body type. At that time, the island city-state was recognised for its tailoring excellence, surpassing Hong Kong and other Asian cities. Many of the tailors, who included two Savile Row-trained artisans, were housed in similar shophouses. 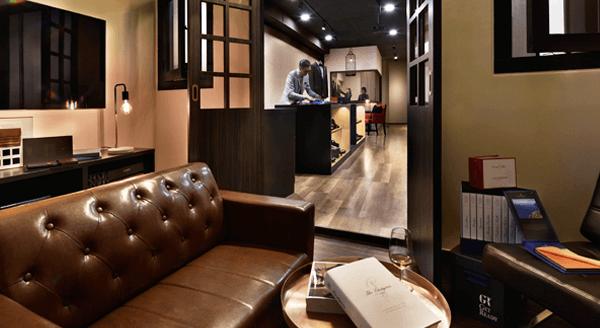 The new address also allowed Wong to convert two-thirds of the boutique into a production space, leaving the remaining third to showcase some of the most luxurious fabrics offered by revered European mills such as Loro Piana, Grandi & Rubinelli and Holland & Sherry. Testament to the brand’s good standing with the specialist textile makers, the shop also carries the widest and most complete selection of Scabal in Singapore. Looking for something a little different? The Prestigious really means business when it comes to bespoke. So even if your tastes run a little niche, shall we say, perhaps fancying a suit milled from pure gold threads or even diamonds processed into a pinstripe cloth? Well, all you really have to do is say the word. Looking for a bespoke experience with us at The Prestigious? you consent to this - but if you want, you can change your setting to disallow it. Get the latest update and news on store event or exclusive new arrivals.